Our spring beautification project for the Town of Weaverville will continue on Tuesday, April 21, at 9 AM. All members and anyone else who is interested please meet at the downtown clock to see where help is needed for the several beds we maintain on Main Street. Please bring your gardening tools, we’ll need several shovels to make removing the plants and bulbs go quickly, watering cans, hat, gloves and your water bottle. 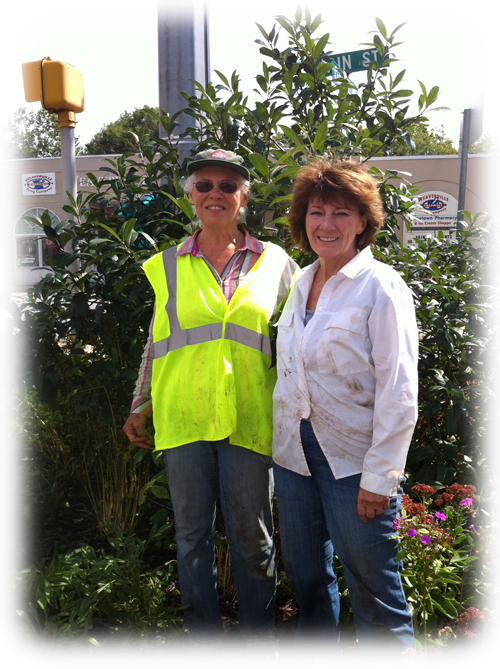 Dirt Diggin’ Gardeners Work 3 hours to be Grinnin’ Happy with Town Gardens! 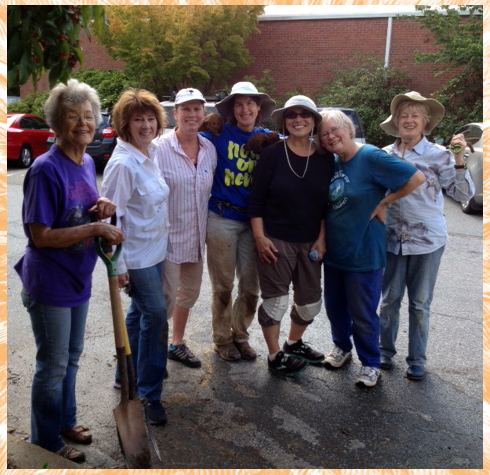 A work session took place on September 16, 2014 for weeding and planting some fall color in our downtown Weaverville flowerbeds. The session usually only takes us one to two hours to get the beds looking beautiful. We brought pansies and a few fall mums to liven up the beds. We encouraged anyone who can to bring a few extra perennials from your gardens to add to the public spaces, we would love to plant them. Possible donations were purple verbena, cleomes (spider plant), cardinal flower, etc. We advised everyone to bring a water bottle, sunhat, hand tools, gloves and watering can if you can. We encourage club members to plan to be a part of the next fun and satisfying 3D session. Leaders Confess: Dirty Deeds Do Pay Off! 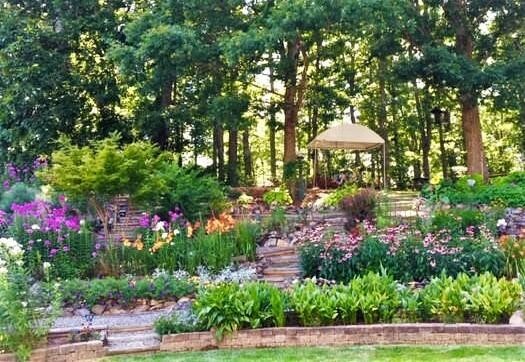 WC Botanical Club Local Events and More -Extensive calendar of local events !! Southern Highlands Preserve has events and tours on 120 acres with high elevation gardens. Click titles for more info. Submit events you want included using Contact Us form.